AS A card-carrying American exceptionalist, I don't share the presumption that a US policy should be changed just because it puts America at odds with the prevailing world view. From ultra-free speech to capital punishment to birthright citizenship, America frequently marches to the beat of its own drummer — and that's OK with me. But that doesn't mean we never err, or that there aren't times when good sense requires pulling the plug on an obsolete practice, and admitting that other nations may have a better approach. Take Daylight Saving Time. Please. 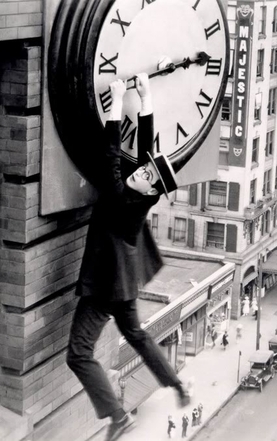 Last weekend most Americans set their clocks forward, losing an hour and groggily perpetuating a tradition that dates back to the Woodrow Wilson administration — a tradition that should have gone the way of spats and silent movies. 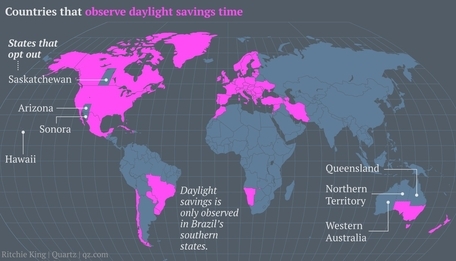 Far from a universal custom, Daylight Saving Time is unknown in most of the world. It isn't even observed throughout the United States: Residents of Arizona and Hawaii don't mess with their clocks; neither do inhabitants of Puerto Rico, American Samoa, and the Virgin Islands. A bill moving through the Alaska legislature would liberate the nation's largest state from Daylight Saving Time beginning in 2017. The primary justification for shifting the clock has always been to save energy. Benjamin Franklin floated the first germ of the idea in 1784, in a humorous essay written when he was an ambassador to France. Force people out of bed earlier, he wrote, and what "an immense sum ... the city of Paris might save every year, by the economy of using sunshine instead of candles." The first countries to actually adopt the practice were World War I allies Germany and Austria, which enacted a "summer time" law in 1916 to conserve coal. America followed suit in 1918. To this day, Daylight Saving Time true believers trumpet the supposed energy savings. In a press release last week, Senator Ed Markey hailed a 2008 Department of Energy report that put the impact of the clock change at "$498 million in electricity savings and reduced oil usage of 2.9 million barrels of oil." Markey, who co-authored legislation moving the start of Daylight Saving Time from April to March, is nothing if not consistent: He has cited the same report, and the same statistics, in nearly identical press releases every year since 2009. But the savings are illusory. Whatever energy is gained from less artificial lighting during the daylight saving months is more than lost by the increase in evening air-conditioner use, and by the boost in driving as motorists take advantage of post-work daylight to go out. When Indiana adopted statewide Daylight Saving Time in 2006, Yale economist Matthew Kotchen found that the "spring forward" hiked electricity consumption by as much as 4 percent in late summer/early fall. The cost to Indiana ratepayers: an additional $9 million a year. Outside North America and Europe, the ritual of Daylight Saving Time is largely unknown. "A growing body of evidence reveals that Daylight Saving Time increases rather than decreases energy consumption," writes Kotchen, who served in 2013 as deputy assistant secretary for environment and energy at the Treasury Department. Whatever the benefits, "energy savings is not one of them." Meanwhile, the more scientists learn about sleep disruption, the clearer it becomes that clock-shifting is bad for people's health and well-being. There are higher rates of workplace injuries, cluster headaches, heart attacks, and even suicides in the week following the onset of Daylight Saving Time. One lost hour of sleep may seem trivial, but the sluggishness it causes comes with a price tag: In 2013, the health effects and lost productivity were estimated to have cost the economy $434 million. Enough already: Let's join the majority of countries that don't monkey with their clocks. Dump daylight saving! We'd all be better off. And Ed Markey could finally retire that press release. Who really drove up the price of gasoline?